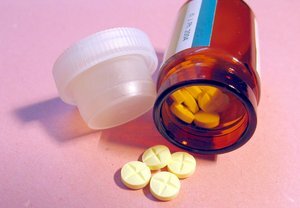 Opioid medications for the treatment of various kinds of pain are a serious drive of medical indemnity costs in workers’ compensation claims. According to a recent study, “The Effects of Opioid Use on Workers’ Compensation Claim Cost in the State of Michigan,” these medications are complicating the treatment picture. Researchers looked at four years of claims in Michigan and what effect these prescriptions had on the workers’ compensation claims that were filed. Nowadays, more and more patients are being prescribed opioid medications. They’re also being handed out in higher dosages in their purest of forms. Many of these patients are injured workers and they’re being given to them regardless of their previous medical conditions or their current health risks, according to Claims Journal. Our Boston workers’ compensation attorneys understand that the patients may also be denied the proper pain medication out of an overabundance of caution. Oftentimes they’re accused of gaming the system. Unfortunately at the same time, there are a number of injured workers who are over-prescribed and become addicted to the painkiller. A proper regiment of pain medication is often a critical quality-of-life issue for those seriously hurt on the job. There’s been an overwhelming problem in recent years regarding the over-prescription of these medications, the addiction to them and the deaths they’ve cause, according to the Centers for Disease Control and Prevention (CDC). “To our knowledge, this is the first scientifically validated study to demonstrate that long-acting opioids,” said Jack Tower, MS, Medical Trends specialist for Accident Fund Holdings. Accident Fund Holdings has been keeping a close eye over the prescriptions and the use of opioids for pain for a number of years. All of this research concluded that there is a need for officials to look at and even intervene in these kinds of claims when patients are treated with the prescription of opioids. Tower goes on to say that he and his organization are focused on making sure that these workers are not being subjected to addiction and that they’re able to return back to work as soon and as healthy as possible. Opioids are medications that are designed to relieve pain. What they do is reduce the intensity of the pain signals that are reaching your brain. These are the signals that affect your emotions, which is why the pain diminished when these waved are altered. Some of the common medications that fall under this category are codeine, morphine, oxycodone and hydrocodone. If you have any questions regarding the treatment and the compensation that you’re receiving for a work accident, it’s critical for you to contact an attorney. Work accidents are no joke and needed to be treated seriously, not with just medication to mask the pain. Contact the Law Offices of Jeffrey S. Glassman, LLC if you or someone you love has been injured on the job. Call 1-877-617-5333 for a free and confidential consultation to discuss your case.